What are the new rules for selecting and using treated materials? 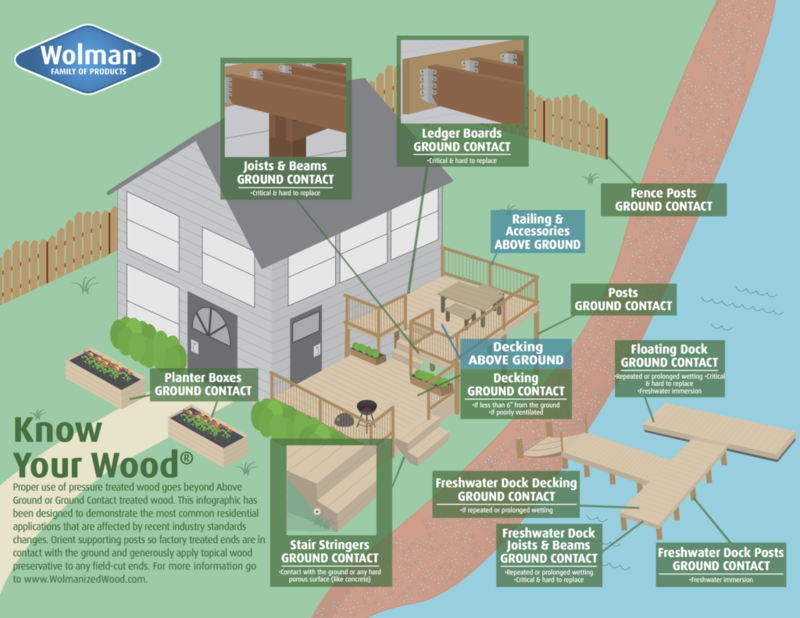 Remember that joists and beams for decks and docks fit both of these final criteria and therefore require Ground Contact treatment. What do these changes mean for the industry? Consumers benefit from the new standards that require wood to be properly treated for the applications and conditions in which it will be used. Treated wood has been tested to ensure proper performance in these applications and conditions. However, the new standards only work if users make the right decisions about whether one of the above conditions applies to treated wood used in their projects. Our industry continues to look for ways to educate and guide users in selecting the appropriate product for their needs. Retailers need to decide what material to stock to meet their customers’ needs.